Hey David. I told you so. 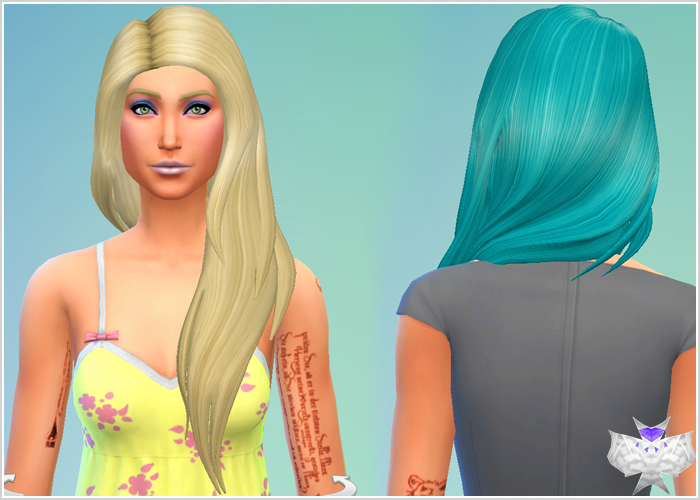 Your ts4 hair gets better and better. It is lovely. It is so lovely that I want it in two versions, so I want to ask you, if you will please make a edit version of it. What I would love for you to do is to make the hair lenght stop at the arm pit (where you already have some of the hair stop) but instead of a straight cut make it stop in "drops" (like the one next to head (is it called tufts?)) asymetrically from the armpit "drop" up to the "drop" next to the head. I hope it makes sense. That you can see what I mean. Will you consider that, please? I agree as well. The side braid hair is cute, but it covers WAY too much forehead and just looks strange! ): Luckily this one doesn't look as odd. Este pelo es muy impresionante, David. Me gusta mucho, pero como algunos otros dijeron antes, que cubre una gran parte del frente, ¿sabes? Pero este pelo es increíble! Buen trabajo! David quero avisar que você é como uma Rihanna, Beyonce, Adele, Lady Gaga, Katy Perry, Britney Spears juntas do The Sims 4, seu site é famoso por todo o mundo, você é a maior influência do The Sims 4 todo mundo acessar seu site todo dia em busca de novidade, era só isso. This is such a nice hair. Lovely flow, your best yet!